As you can see, there are some great choices out there when it comes to nice compact wine racks that are affordable and can hold a good amount of wine bottles. I find that these are great for people who live in a small apartment or condo. They are also good for people who have a small kitchen. If you’d like a bit more information, just take a moment to check out some of our mini reviews on these small wine racks below. 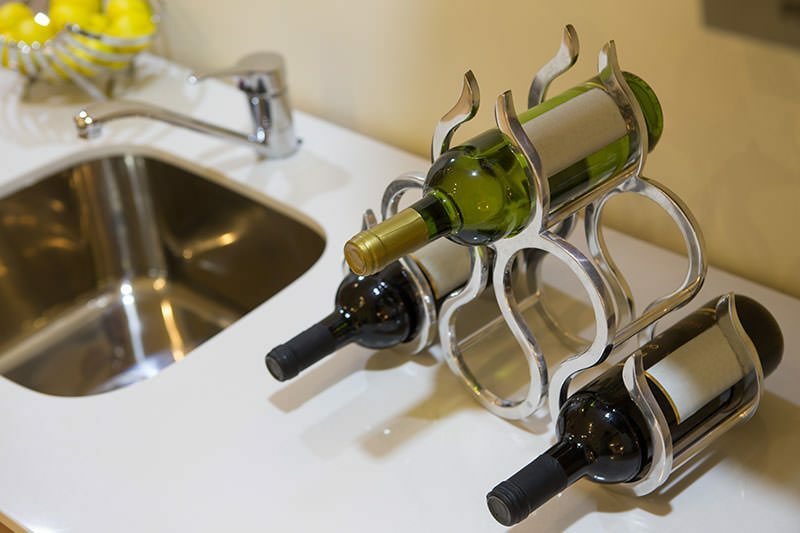 Who knows, you just might find the perfect wine holder for your kitchen! 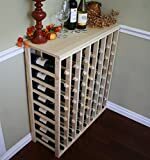 True Fabrications Wall Mount Wine Rack – When you are short on space and don’t know what to do with all that Two Buck Chuck, a slim wall-mounted wine rack like this is the perfect answer! We think that it’s the best wall mount wine rack right now. 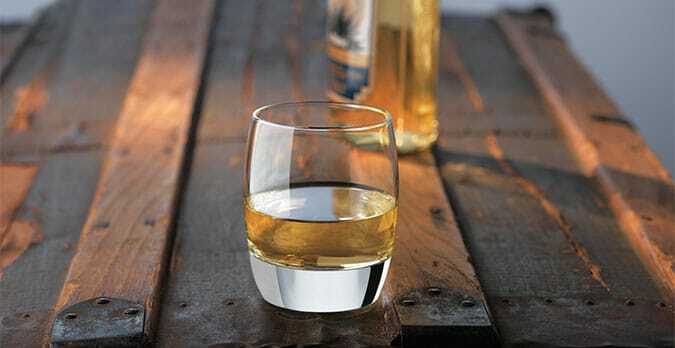 It can hold 9 bottles of wine and has to be mounted on a wall in your apartment or condo. The great thing about this is you can get more than one and have a whole wall (or part of a wall) filled with these and save a LOT of space. I’ve seen this done at a friend’s house and he had 6 of these on a wall so he could place 54 bottles of wine in them. And this is also a great décor piece or can be given as a gift to someone. 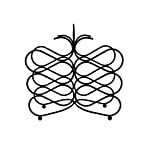 It is simple, yet elegant. Definitely a great option for a house warming or wedding gift for wine lovers. 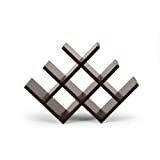 Kamenstein Decorative Wine Rack is a great choice if you want something that is not as simple as a wall rack, but makes a great decor piece for your home. 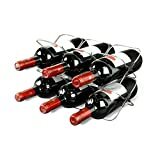 In fact, this butterfly design wine rack can fit nicely in almost any décor and holds up to 8 bottles. It’s easy to clean, cheap, resistant. It will look great on those granite countertops. You can’t put this one on the wall though, so make sure that you have space on the counter, table or in a cabinet for it. 6 Bottle Space Saver Wine Rack – This one is probably the most minimalist of all the wine racks that you can buy right now. It is made of metal actually folds flat for storage and it can easily be folded at anytime. You can hold 6 bottle of wine in this one and I really think that it is one of the most compact ways to store wine. You could even stack 2 of these, if you wanted to do so. 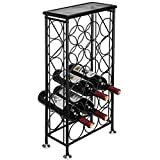 If you do not need to hold that many bottles of wine though, check out the Metrokane Houdini Expandable Wine Rack at Amazon. It is pretty much identical to the one above except it will only hold four bottles of wine. Great choice for your tiny Manhattan studio apartment. Wood Oval Wine Rack – this is an elegant rack and can be used as a décor piece while holding up to 8 bottles. Can be placed in a corner and used as a small table (you could put some flowers on it). 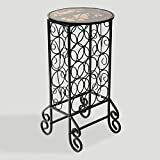 It is about 25 inches high, so not really the tallest of tables, but it still looks great in a corner or near your sofa. Personally, I like to place a fruit bowl on top of the table so that I can keep that off my kitchen counter as well! 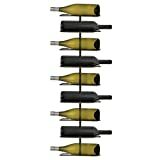 56 Bottle Table Wine Rack by Vine Grotto – is made from all natural pine wood and can be placed in a corner. Doing so will make the whole room look better, and it’s great for homes with a Tuscan style decor! It has a nice, simple look about it and hardly takes up any space at all! You will notice that it has a top space that can be used as a support for flowers, glasses, etc. Dimensions: 12″ (d) x 31 15/16″ (w) x 36″ (h). Very sturdy and fits 750ml bottles. These are some of the best wine racks for small spaces available today – you’ll need to take a look at them and choose the one fits best for you according to the space you have in your home. Hope this helps you! The wall racks work out better for me since my kitchen is tiny and I don’t have any extra counter space to spare. Wish I had room for a wine fridge!